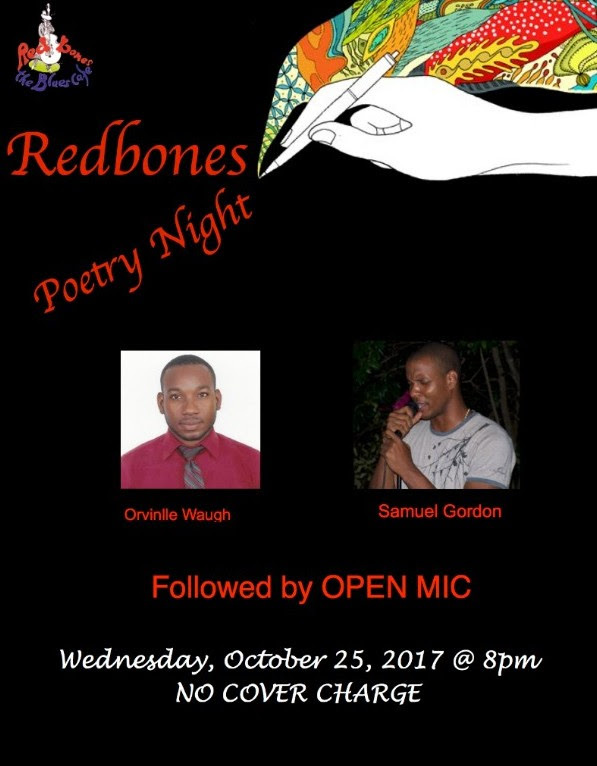 We continue our tradition of Redbones Last Wednesday Monthly Poetry Nights. This month we will be featuring Orville Waugh & Samuel Gordon. As always the performances will be followed by an Open Mic where audience participation is encouraged. This will be the LAST OPEN MIC FOR 2017. November will see the staging of our Annual Poetry Awards. For those who love Spoken Word, this night is for you! !